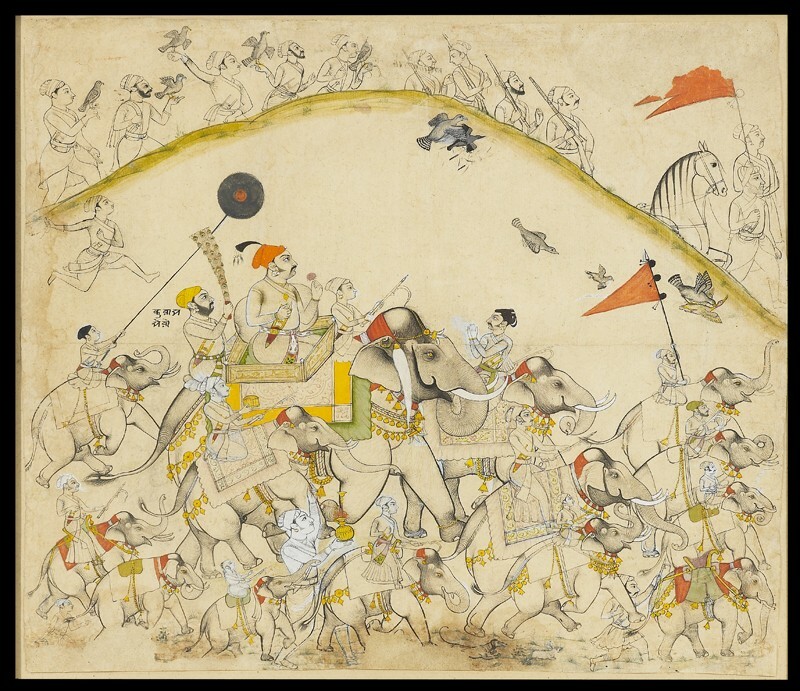 Maharaja Raj Singh rides in procession with attendants and a large group of elephants. The royal elephant stable is being taken out for recreation and pasture. 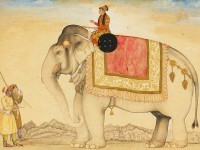 Raj Singh rides the largest elephant, with a boy mahout and an attendant. 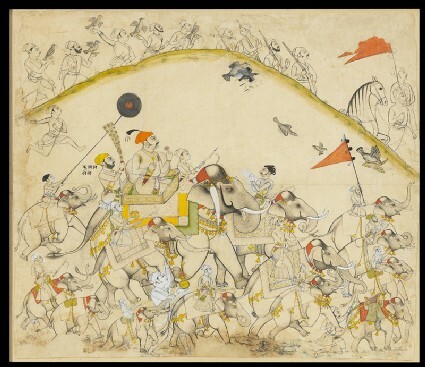 Huntsmen beyond the hill release their hawks, which make their kills in a swooping sequence adapted from contemporary Udaipur works, for example Maharana Amar Singh hunting sarus crane and Sangram Singh Ranawat hawking seen below [LI118.76, LI118.78].